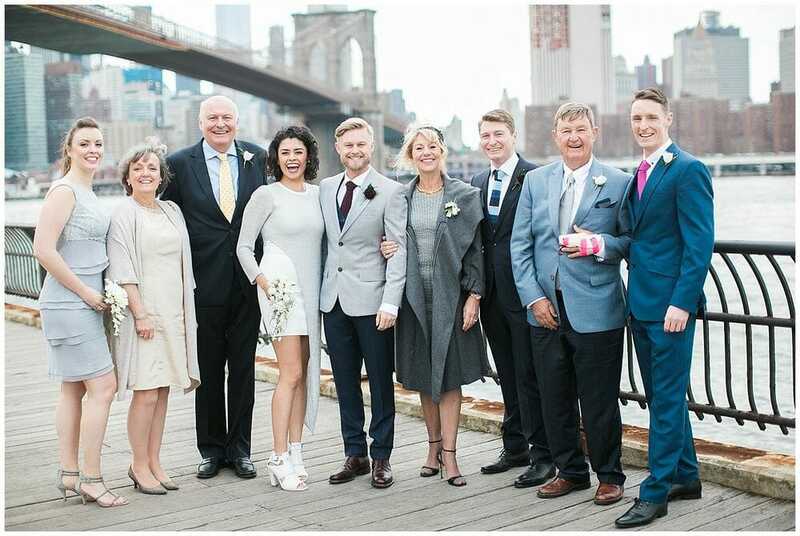 This couple’s intimate ceremony took place right alongside the East River at the Brooklyn Bridge Park. This spot just so happens to be one of the top favorite places to elope in Brooklyn, and for good reason. The sweeping views of Manhattan, just across the river, and 2 towering bridges flanking the park make it a pretty unbelievable sight. 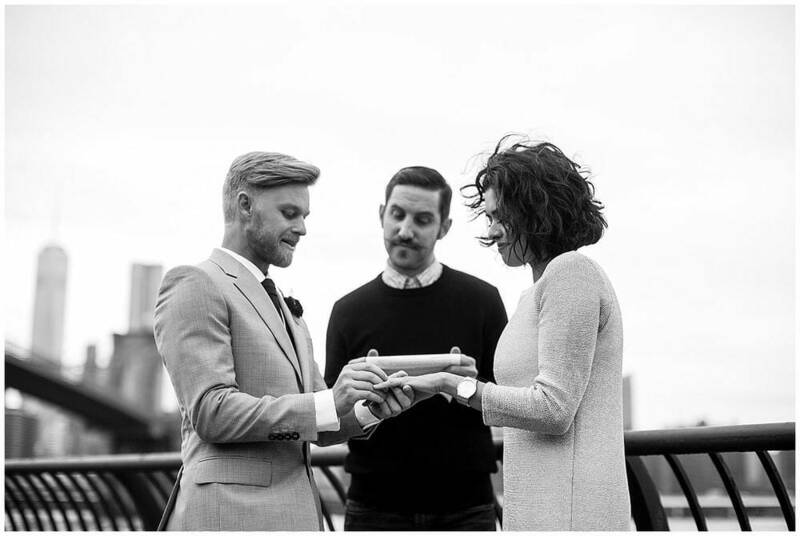 These two said their vows alongside the water while close family stood by to watch and support them. 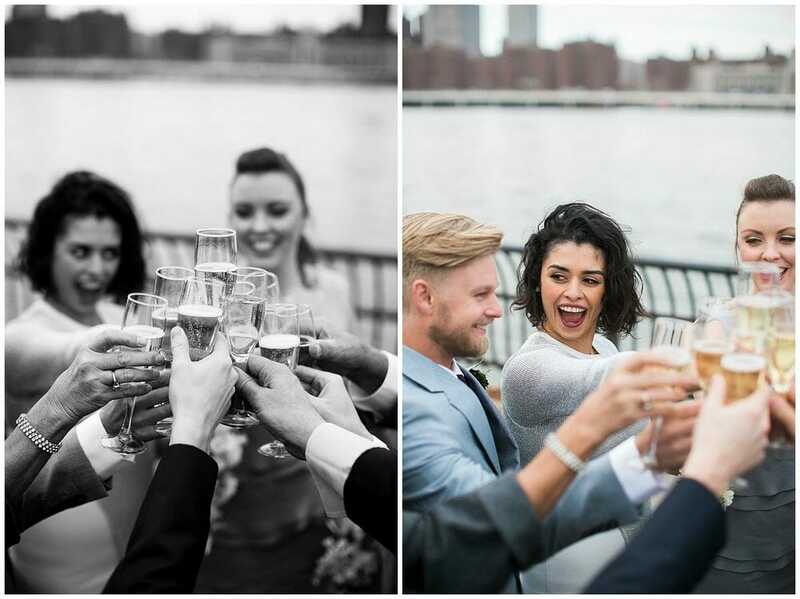 The ceremony ended with a champagne toast and some seriously amazing pictures taken out on the streets of the city. 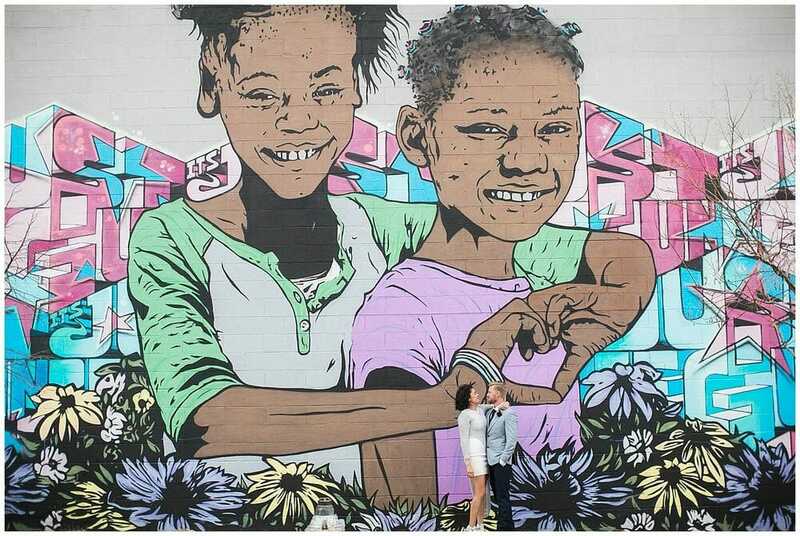 While many couples like to tour the rest of DUMBO for their portraits, this creative duo headed a little farther out to take advantage of the vast collection of street art in Bushwick. 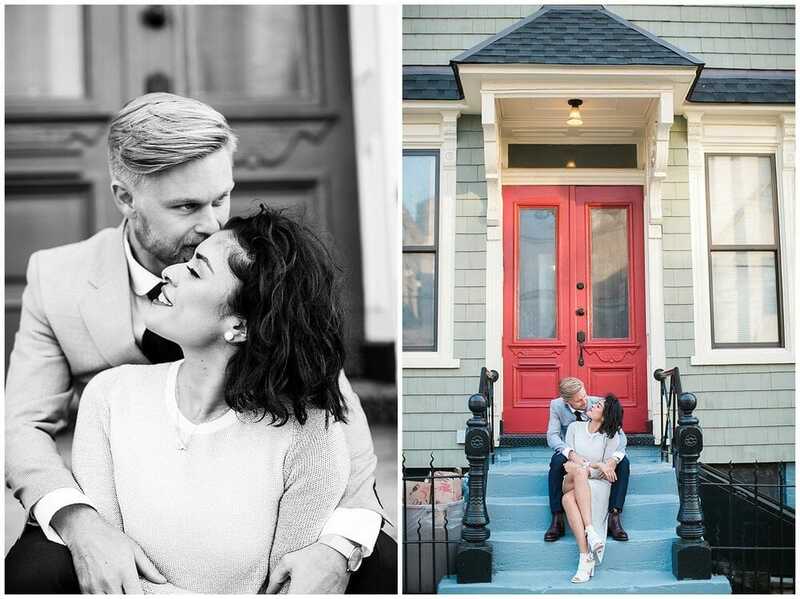 Their photo shoot was the true definition of color! 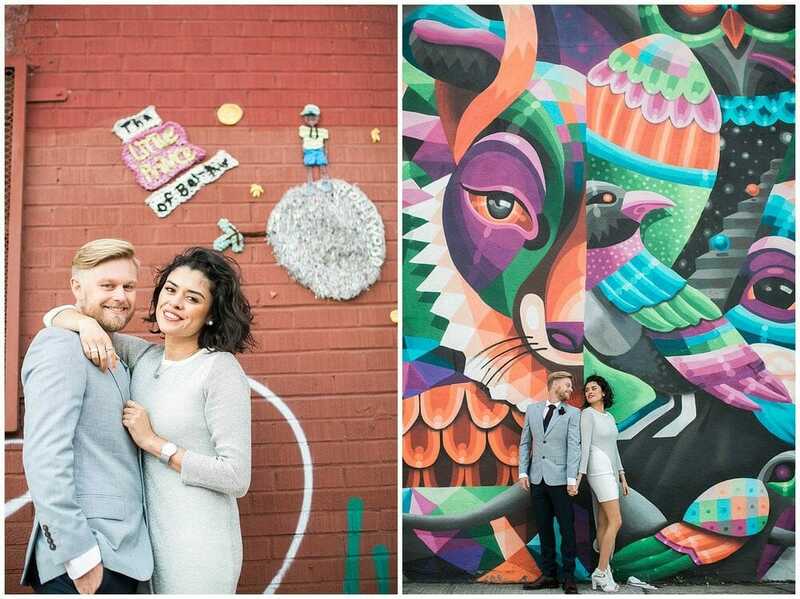 The couple’s style couldn’t have been a better fit for the backdrops. The bride wore the most amazing asymmetrical modern dress that simply popped in every shot. Take a look at the unique photos below, shot by Jenny.